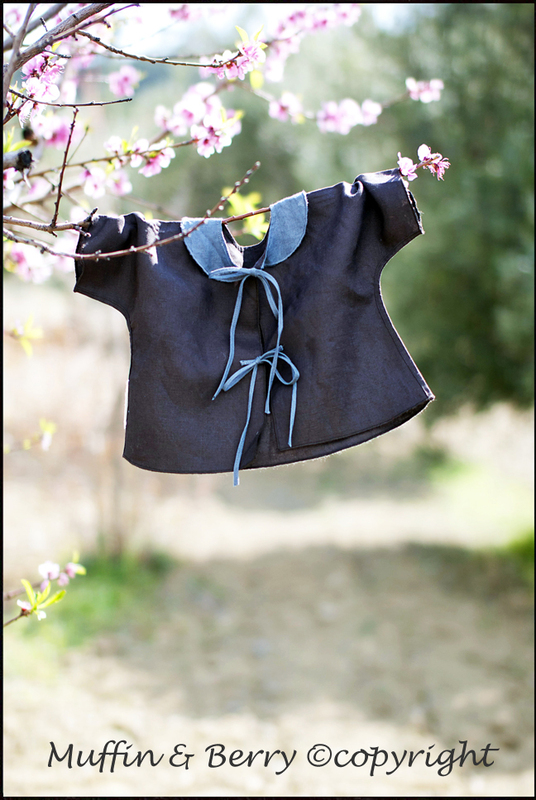 by Muffin and Berry Ltd.
Short-sleeved handmade shirt will bring some fresh summer breeze to your baby’s wardrobe. Shirt is made of 100% highest quality softened linen. This light, thin and stylish shirt, decorated with delicate collar accents it’s a classic look and is a perfect choice for summer time. Your baby will feel comfortable and look fantastic! Muffin and Berry Ltd delivers worldwide. All orders will be sent via National Post Office. Please note that these delivery dates are based on LT post office estimates. Muffin and Berry Ltd cannot be held responsible if delivery is delayed because of events outside of our control. Your purchase will be sent to the address that was given at the time of placing your order, please ensure that all details are correct. Europe - £5.99 (3 - 6 working days) Rest of World - £9.99 (1 - 3 weeks) Free delivery will be applicable on all orders over £120 (EU countries only) We aim to ship all orders within 3 days of receiving full payment but please allow at least 5 working days to avoid disappointment. If shipping is not possible for any reason we will contact you. If for any reason you require your order quicker then please contact us info@muffinwithberry.com and we will do what we can to assist you in this. All orders placed after 3pm will be treated as having been ordered the following day. Goods dispatched to countries outside of the EU may have an import duty and/or taxes levied on them when they reach your country. Muffin & Berry Ltd take no responsibility for the import duties and taxes and you are solely responsible for these payments. Whether any charges are payable will depend on the value of the package and where you are having it delivered to. We have no control over these charges and cannot predict what they might be as customs policies vary widely from country to country. You should contact your local customs office for further information. All Muffin & Berry items are handmade. Please kindly allow 3 -5 days to process your order. Should you require item(s) sooner, please kindly contact us before ordering to see if we can meet your timescale. Your item will be sent out to you securely packaged and posted via National Post Office. You will receive an email when your item has been dispatched with more information. Data protection and privacy Any details, which you provide to us, will remain private. Your details will not be shared nor sold. The rights in the designs, pictures, logos and photographs are protected by copyright, trademarks and other intellectual property rights are owned by or licensed to Muffin and Berry Ltd. You may not copy, reproduce, modify, distribute, republish, display, post or transmit any part of this property without the written permission of Muffin and Berry Ltd.